Technology is evolving rapidly! Languages and frameworks used a few years ago have almost become obsolete and new ones have come up. Most of the updates are being done using earlier languages as a platform. Earlier cost of software development was high, so majorly big businesses and enterprises went for custom software development. It can be used for a variety of applications like e-commerce, real-time chat, processing, inventory and more. It is well suited for both frontend and backend. Presence of pre-built functions ensures efficiency and faster coding. Developers do not need to create everything from scratch. The strong community support ensures better collaboration of these frameworks. Any user experience feedback or bug related feedback reported back to the community is resolved by the expert developers. Security related issues and their solutions are quickly available thanks to the active community. Talking about web development in 2019, any developer is faced with a common question – which framework to go for. Angular and React are the two most common and popular JS frameworks being used today. Before comparing these 2, it is important to have an introduction of each of these frameworks. Recommended for you: The Pros & Cons of Elixir Programming Language. Angular is one of the most commonly used platforms for building web applications and SPAs. It uses a combination of end-to-end tooling, declarative templates, integrated best practices, and dependency injection to solve different problems faced by developers. These features along with data binding eliminate a significant amount of code that developers would have to write otherwise. It is an open-source, frontend web framework, and can be used for desktop, web and mobile applications. It is being used by thousands of websites, including well-known brands like Intel, NBC, ABC News and more. ReactJS or React is a popular library for building user interfaces. It builds user interfaces as a tree of several small components. These small components can be used to build excessively complex parts of an application. It was first developed in 2011 and as deployed on the News Feed of Facebook. It was later given as an open source platform in May 2013. This framework is maintained by a community of individual developers, companies, and Facebook. This framework can be used as the base for mobile application or single page website development. “The Angular framework was initiated by Google while React was initiated by Facebook. Both these frameworks have the support of a strong community of developers globally. So, choosing one of these two frameworks can be quite challenging. 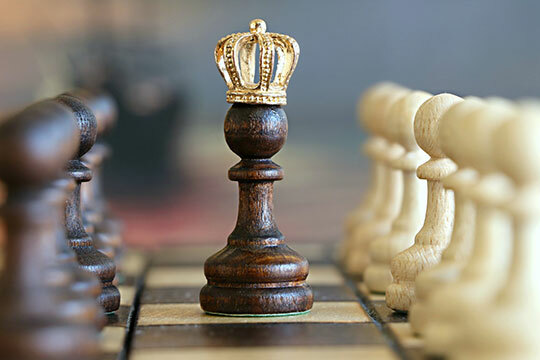 It is important to understand the differences, pros, and cons of each framework and how they compare against each other to make the right choice.” – mentioned by Dan Piltch, the Co-founder and the former CEO of Freeport Metrics, on the choice of the framework. First released in 2010, Angular was developed by Google. There have been substantial shifts in the framework since its first release. The version released in 2018, Angular 7 is the most stable version of the framework currently. React was developed by Facebook, and is extensively used across different Facebook products. The latest stable version of React is 16.X which was released in 2018. 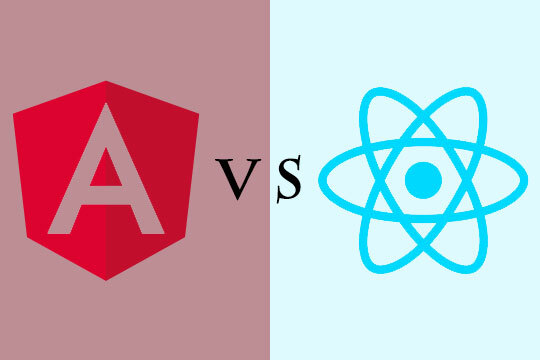 The basic difference between both is that Angular is a framework and React is a frontend library with several open source integrations. So while React can be considered to be an oven, Angular is the entire kitchen. Angular gives you all the tools required to build a web app, while React gives you tools for specific applications. Angular is quite flexible and can be used as an MVVM or MVC architecture. React, on the other hand, is useful for component-based architecture and serves as view in MVC architecture. It has given a new way of doing the same things required in the application. React was launched before Angular, so it has the benefit of being in the market for a longer time. So, this platform has faced more critical tests, problems, and issues. This has made the platform convenient, open and quite flexible. There are more than 300 ready-made solutions and more than 100,000 React codes present. This USP of React is liked by developers globally. The time-to-market advantage has clearly benefitted React. Angular is a larger framework structure and has more solutions developed for it. But, in terms of developers, it is still to find more developers like React so direct comparison is not possible. In terms of applications, both these platform support hybrid and native development. In the case of Angular, there is an Ionic Framework for Hybrid apps while NativeScript for native apps. On React, you can use react-native for native apps and react-native-renderer for cross-platform apps. React follows one-way data binding while Angular follows 2-way data binding. The core language of both these platforms is also a point of comparison. Both follow an OOP style of coding. Angular is a statically typed language while React is a dynamically typed language. In a statically typed language, it is possible to define the variable type while dynamically typed language is a declarative language and is easier to read and write. Performance of React is considered better due to the Virtual DOM thus it only updates parts that are needed to view the difference between the earlier and current version of HTML. This GitHub like approach reduces the asynchronous data requests on a page and improves speed. Angular on the other hand uses Common DOM, so the entire tree structure of HTML tags is updated. Document Object Model represents the website page to the browser. It boosts up the performance of a system to a large extent. When you compare in terms of popularity, search queries for Angular indicating a higher interest in this framework. Angular was not developed and created for direct server work, there are alternative methods to use Angular through servers. In case of React, it can be easily used to render client and server-side work. Angular offers more and out-of-the-box features. Some of these features are built-in into the framework of Angular so there is no option of not using them. So, Angular developers need to be well versed with all features even for a small project. React comes with limited features but gives developers the flexibility of choosing the tools and libraries they want based on the project needs. The minimalistic approach makes it easier to adapt and learn. React can be easily integrated with different underlying technology including strict MVC. React uses higher level concepts like PropTypes, JSX, several approaches to state management and more. Angular uses RxJS, TypeScript, Angular Management and a different approach to state management. React does not require additional software or packages. It can be created and launched in API mode. There is a significant difference in the size of both frameworks, and the size of their libraries. A library size of React is around 100 kb while that of Angular is more than 500 kb. Angular has a steep learning curve. It is a complete solution, so mastering Angular requires knowledge of MVC, TypeScript and other associated elements. The learning curve of React is less steep. Every added functionality is a new learning path. Angular is a great framework for big companies who have a team of developers familiar with TypeScript. Due to its flexibility, React works well with developers and start-ups new to JS framework development. If you talk about popular users of Angular and React, here is a comparison of who uses which technology. React is being used by Facebook, Uber, Airbnb, WhatsApp, Instagram, Netflix, Dropbox. Angular is being used by the NBA, Google Express, Delta, Eat24, Wix. You may also like: Why Data Scientists Prefer Python Programming Language for Machine Learning? Both Angular and React has a lot to offer their users. Angular is a mature framework while React also works well with anyone starting with JS frameworks. There is no better framework as the answer will depend on a wide range of factors. Depending on the requirement and features of your project, you need to decide which one is better for your application. A detailed analysis of your use cases and environment will give a clearer picture of which framework is better for you. If your project requires flexibility, size, and simplicity, React is what you need. If your project requires the greatest of functions and endless possibilities, Angular is the platform you go for. Right from the history of both framework to their potential and possibilities of growth in the future, there are several comparison factors. Angular and React both are ruling the JS framework domain, and are expected to do so in the coming years too.